Location of San Martin apart hotel. When you search for a place with that perfect combination of spaciousness, tranquility and comfort, look to us for that perfect place at Apart Hotel San Martin. We have 37 Apartments with 693 SqFt (70mts2) each, the only ones in Lima with a living room, a dining room, a totally equipped kitchen, Queen sized bedrooms, Wifi, Cable TV and a personal safety box. And best of all, it will cost you less than a much smaller hotel room. 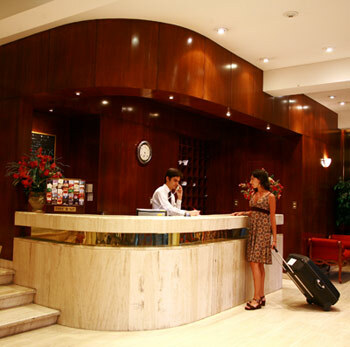 You will enjoy the comfort of being in your home away from home with the friendly and attentive service of our staff. We have apartments with sofa-beds for your children or friends, a privateparking lot for your car, and 24-hour security for your peace of mind. We are centrally-located in the exciting tourist district of Miraflores, close to the business center and most health clubs and beaches of Costa Verde. Enjoy the most comfortable apartments with the best rates in Peru!